Point-and-Shoot cameras are one of the popular types of cameras out there. The best thing about these cameras is that both professional and starters find Best Point and Shoot cameras useful. If you watch YouTube videos and vlogs, you might notice that some of your favourite and top-notch vloggers around the world use point-and-shoot cameras for daily or weekly vlogging. They also use DSLRs for cinematic shots, but they also use a point-and-shoot camera for videos. Many professional vloggers and YouTubers carry a point-and-shoot along with their DSLR and camera kit. Casey Neistat is the example of that. Once he made a video about a newly released point-and-shoot camera from Sony and in that video, he explained the compactness of the device. A point-and-shoot camera is easy to carry in the pocket and its compact size doesn’t take too much space in the bags. Due to its size and compactness, these cameras are often considered vlogging cameras, but in reality, they are pretty much full-fledged cameras. Many YouTubers make their sit-down or how-to videos with these point-and-shoot cameras. Apart from that, these cameras have always been there for video recording. We all have seen those weddings, family tours, and get together when people used to take photos from point-and-shoot cameras. DSLRs cameras weren’t much common four to five years ago, but point-and-shoot was something people used to buy a lot. 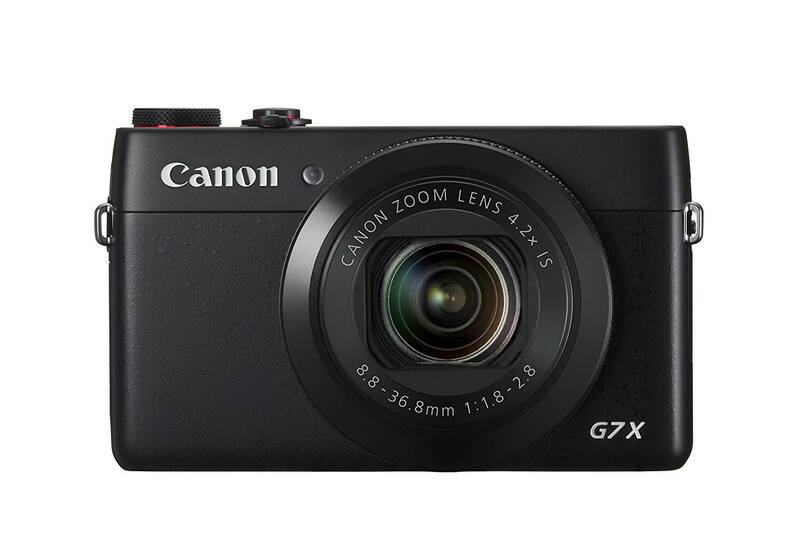 Canon G7X Mark ll is one of the most popular point-and-shoot cameras on the market. It has 20.1 Megapixel camera with CMOS sensor (along with DIGIC 7 image processor) for best image quality in low light. It shoots up to 8 fps in both RAW and JPEG modes. One of the best features of this point-and-shoot camera is the flip screen with the tilt of 180-degree up and 45-degree down; the multi-angle capacitive 3.0” touchscreen responds very well. The camera captures 1080p Full HD videos in MP4 format with stereo sound. It is priced at $508 on Amazon. Sony RX100 Mark ll is one of the most used vlogging cameras out there. It’s a 20.2 Megapixel camera with 1″-type Exmor R CMOS sensor, which helps in shooting in low light conditions. It shoots 1080 Full HD videos and supports up to 60 fps and offers ISO from 160 to 12800. RX-100 has 3.6x optical zoom, which also helps in zooming in while shooting videos. You will also get a built-in WiFi and NFC for sharing data. It has a stabilisation feature which provides steady-shots. Also, the tilt able TFT LCD makes it easier for recording videos or vlogging. The price of this camera is $598 on Amazon. Panasonic Lumix DMC-LX100 is another popular point-and-shoot camera that YouTubers and vloggers use for vlogging and video recording. It’s a LUMIX LX series camera with multi-aspect micro sensor, zoom lens, blur-effect ability, optical image stabiliser, and much more. It shoots at 30p 4K Ultra HD video and 4K photo, which brings the best out of this camera. It’s a wonderful camera for family photo shoots as well as daily vlogging. It’s priced at $597 on Amazon. Canon PowerShot G9 X Mark II is a 20.1 Megapixel camera with a high-sensitivity CMOS sensor. It has a Digic 7 image processor. It is an ultra-slim, lightweight and pocket-sized camera for shooting family tour videos as well as YouTube vlogs. The touch-screen panel is responsive and provides users with the ability to control and manage the functions. The price of this Canon PowerShot G9 X Mark ll is $429. 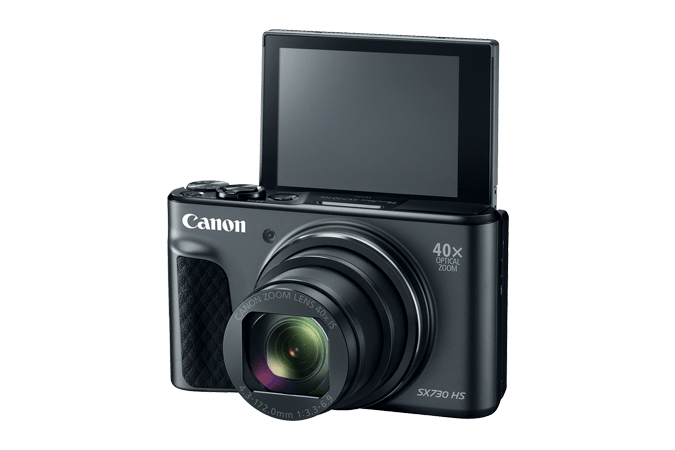 Canon Powershot SX730 is a 20.3 Megapixel camera with CMOS sensor and Digi 6 image processor. It has 40x optical zoom. It has a 3-inch tiltable LCD. Other features include WiFi, NFC, and Bluetooth. It’s a low price range camera for video recording and vlogging. The price of this camera is $308 on Amazon. If 16X optical zoom reflects mediocrity and you expect something much better than that with all the goodies that you get with any other personal or domestic digital camera, this one is obviously for you. 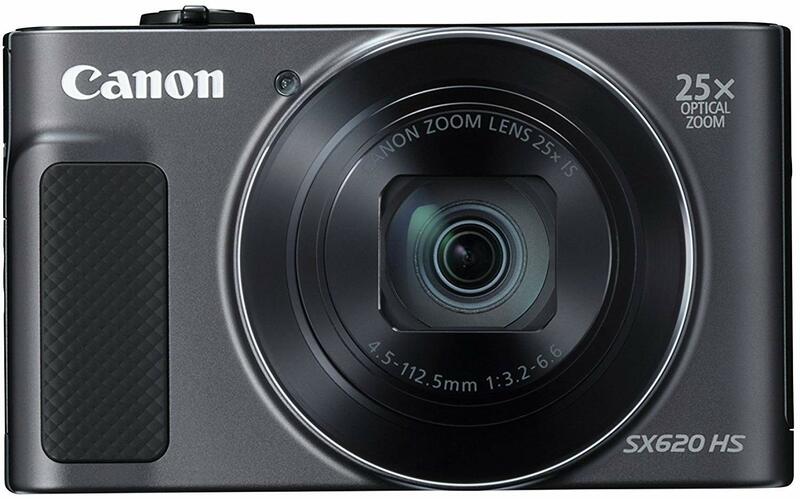 Canon is a noble name in the niche of digital cameras and Canon SX620 is one of the best, budget cameras for someone who wants a good digital camera with better picture quality and zoom. It comes with a superior CMOS sensor and it captures stunning 1080p full HD video. With a larger LCD to stay connected with the world on the other side of camera and connectivity options like Wi-Fi and NFC, you will not find many alternatives of this camera. It has its own cons and we will also talk about them in this review. I cannot stress enough on how much people who have experience in photography hate that digital zoom. Cameras do not work this way or at least they cannot deliver great pictures and work this way at the same time. Optical zoom is the way to go and the good news is that Canon improved the number game as compared to the predecessors of this camera. So you would love a big leap from 20X optical to 25X optical zoom. 20.2 megapixels CMOS sensor assures that you get the best picture quality. To start with a CMOS sensor is cheaper and better than other type of sensors. It takes less circuitry and thus there is little to no noise in pictures and 20.2 is a big sensor so much better results you should expect. To a lot of people this might be a shocker because now we tend to expect a 4K video quality and especially when camera is from a big company like Canon, but this one comes with 1080p video quality. But hey, do not let this bother you. Why? Because you do not always need 4K. 4K is like the best video resolution that you can expect and not too long ago, 1080p was there and if you assume that nothing like 4K was ever invented, this is the best resolution camera for you. Last, but not the least, this camera has two really good options that you must need with a digital camera irrespective of whether you are a professional shooter or you love to do this as a hobby. You need a digital connectivity option to transfer video and photo files from camera to computer. This camera comes equipped with Wi-Fi and NFC which make it a really good choice. When we talk of the built quality of this camera, it is the first con. Talk about ergonomics, size or material – poor built quality. And the other problem is with Wi-Fi setting – connecting to Wi-Fi takes too much time and patience. Other than that no real issue! Canon is a respectable name in the industry of DSLR cameras and digital cameras. Every other person that you know have either tried a Canon camera or thinking about it. This camera, PowerShot ELPH 190 is a digital camera that has a bigger censor than many other cameras this size. Sensor is not the only reason why you would like to buy it. You buy it, you buy the full shebang, because this Amazon deal includes the whole pack of accessories that you need to maintain, clean, fix and use this camera. This is a complete kit and a steal at $160. Here, take a look at the pros and cons. As you can see, this product is so perfect that the cons of this product faint in the comparison. So let us talk about those pros, one by one. I can’t really say that a CCD sensor is much better than CMOS one, because CMOS is cheap and it makes better use of limited circuitry. A 20.0MP CCD sensor with a reasonable size is not a bad idea. They deliver better than those 1” CMOS sensors. So, I would consider this a pro – definitely a positive point. 10x optical zoom has nothing to cheer about because cameras priced lower than this one have 20 to 30x zoom, but 10x is the sweet spot between too less and too much optical zoom. Obviously, in this case less is not more and more is a better option, but having 10x zoom is still better than a single figure zoom camera. Users of digital camera always whine about size of two important parts: the sensor and the screen. This camera kicks it at both: it has a big sensor as well as an LCD monitor that is bigger than many other cameras’ monitors. It is a 230 K- Dot display panel which is really good in terms of clarity and noise reduction. Don’t let those expensive 4K products confuse you. When it comes to frame per second rate, bigger is better. Even 24fps is considered a good rate and considering that your camera can only do 720p, 25fps is nothing shy of a perfect frame rate per second for this resolution. This means that your video recording would be with no stuttering or lags. This product has its own shortcomings. For example, it is a Canon product and thus it is definitely more expensive than its Nikon or Sony counterparts. The zoom is on the borderline of being insufficient. I mean, you can get 30x zoom for price lesser than this camera if you just change the brand. Keeping no port for external microphone is a big mistake. Although this is not an issue to everyone. Panasonic is a major contender of famous camera brands like Canon, Nikon and Sony etc. This camera is not a DSLR; it is from a whole different breed of cameras. It is a point and shoot camera. These cameras are used to just point and shoot an object when you do not have enough time. With auto-focus or focus-free lens, these cameras take your worry of zooming in and out and with a little effort, it is read to shoot. These were the type of cameras that was all over parties, gatherings and meetings etc., before smart phones outsmarted them. Manufacturers decided to make more high-end point and shoot cameras and this is one of them. Full Kit e.g. bag, tripod, flashlight etc. We’re not living in Claude Hopkins’ time. In his time there were so few products that he sold crap easily. In our time, media, easy access to information and too many choices (too many products and brands) have made it difficult for a product to sell without having buyers pointing fingers at it. Same is with this product. The only actual issue is that it is complex to handle, but practice could fix this issue. We are so much accustomed to ease and plug and play mentality that we rarely try to learn and operate a product. The other con is even more ridiculous. Customers complain that they cannot see their photos in a WYSIWYG mode. They have to upload them to a computer to check the quality. Pros of this product are really amazing; let us dissect them one by one. There are many digital cameras that claim to be 4K, but either their video is not 4K or the photos. This Lumix camera from Panasonic presents you both: 4K videos and 4K photos. At a frame rate per second of 30, this camera shoots 4K photos and videos 4x the resolution of your standard Full HD. This pro alone is enough to prove its worth. With a better sensor and flashlight included in the kit, you can take better photos in lowlight. It is hard to say how lowlight photo can be compared to daylight one, but this camera is equipped with all the bells and whistles needed for lowlight photography. Strong suite of this Lumix number made by Panasonic is its zoom. A good zoom starts from 24 and 35 makes quite reasonable one. This camera allows you to go from 200mm wide angle photography to 1200mm (60x) in a minute. FZ80 is equipped with best lens made by Lumix and thus you won’t notice much noise and photo will remain crisp and clean. 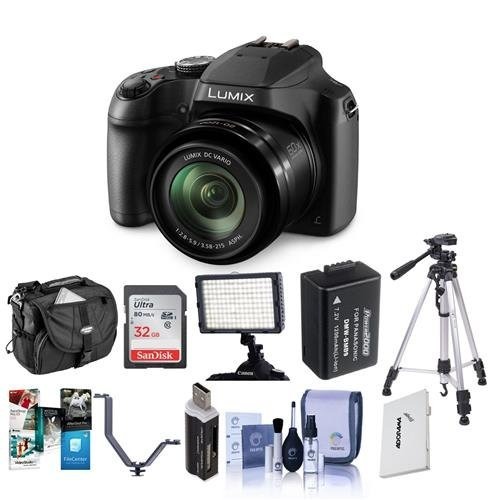 This is not only a camera, but in order to encourage the customers, Panasonic is giving you the full kit that you would otherwise buy for your professional camera. 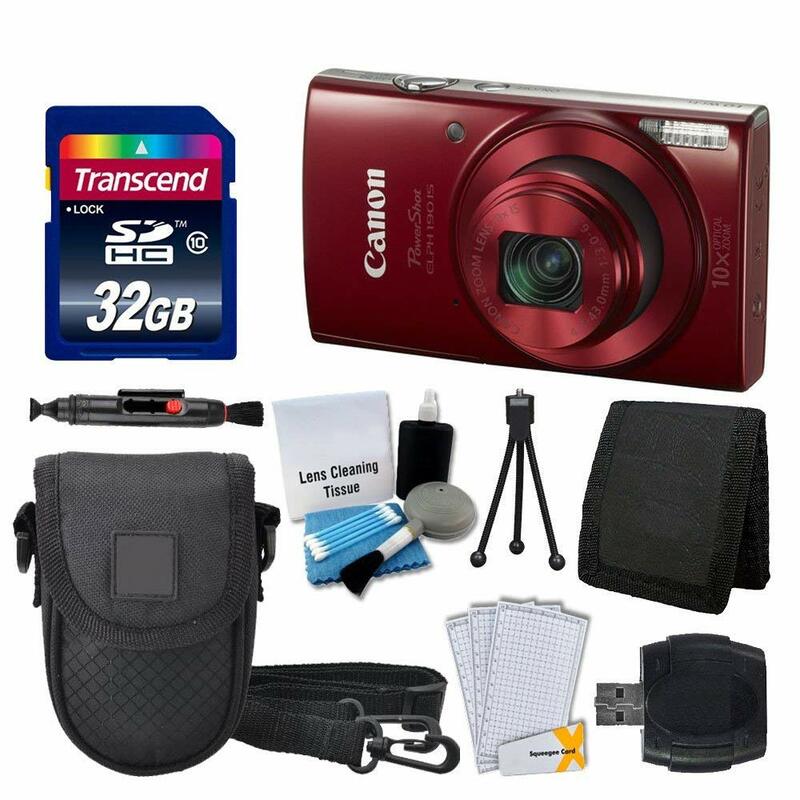 Items include, but are not limited to, flashlight, camera bag, tripod and memory cards etc. 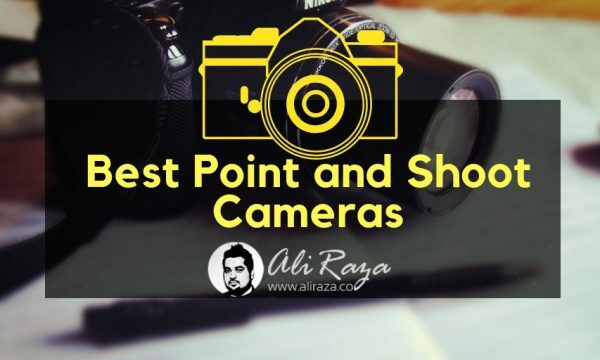 I have shared five best point-and-shoot cameras on the market that you can check out and buy according to your feasibility and price range. All of these cameras are popular and people have been using for years. Nowadays, most of the buyers of point-and-shoot cameras buy these cameras for vlogging. Gone are the days when older people used to have such point-and-shoot cameras while going to the picnics. Now people carry these point-and-shoot cameras for vlogging or taking family pictures. The small size makes such cameras easy to carry in the pocket or in the travel bag. Which one of these best point-and-shoot cameras are you looking to buy in the near future? Hi There! Thanks so much for this article. I”m struggling a bit as I have the Canon EOS M6 and I”m not sure if it is the best camera for vlogging. I wondered why you didn”t review it and if you have any thoughts on this camera for vlogging vs. photography/ food photog. Thank you! 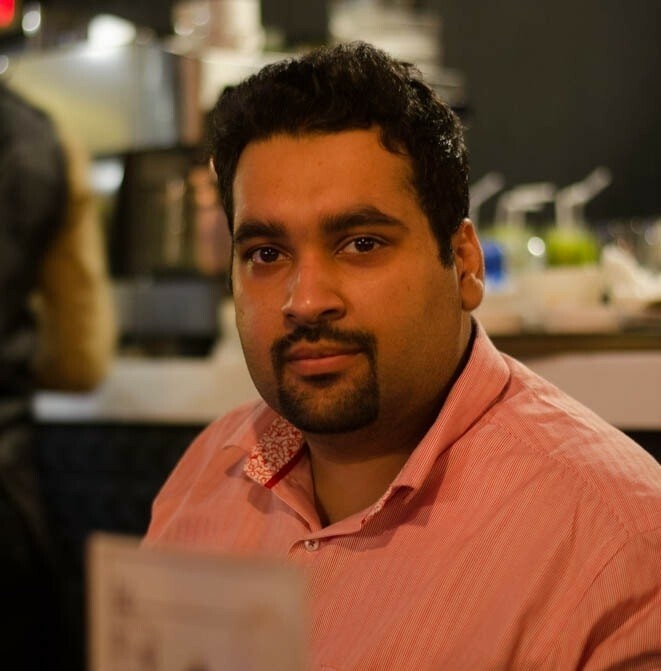 Hello Jokkeri, I have reviewed it briefly in my best vlogging cameras article.